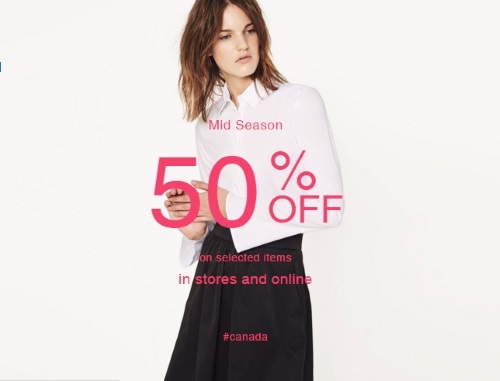 Zara has a Mid-Season sale on now! Save 50% off selected items! This is valid in-store and online. Items are as marked online, no promo code is needed. Generally when there are sales like this items continue to be farther marked down as time goes by, but quantities are limited, so if you see something that you like, grab it. Shipping is free on orders of $50 or more. This is one of my favourite stores, so I am so excited that they have sale on again. Click here to browse Zara Canada.